I had my evening all planned out. I am heading up to Maine tomorrow for Thanksgiving, so I was going to wrap up work, come home, get myself packed and then help my wife get everything packed for the little man, have some dinner then knock out a beer review. Quick and easy post, probably the only one I would write this week due to travel. 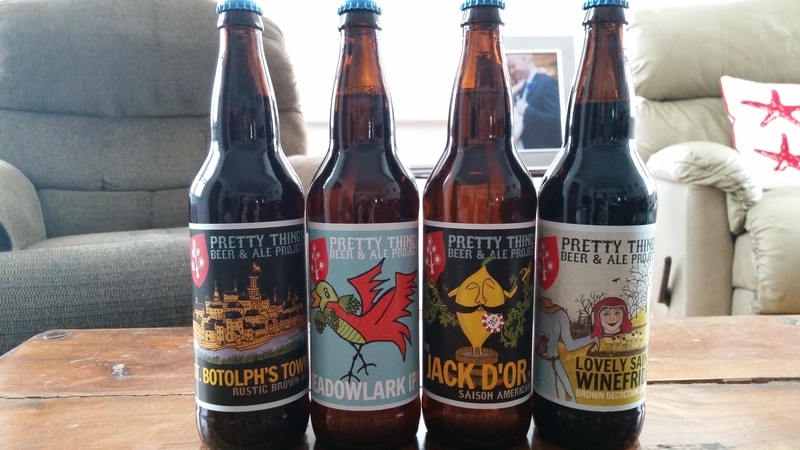 Then I got out of my afternoon meetings and did a quick check on twitter to hear devastating news, local stalwart Pretty Things Beer and Ale Project has decided to cease production. The last Pretty Things beers will be shipped over the next month and then the brand is essentially done. 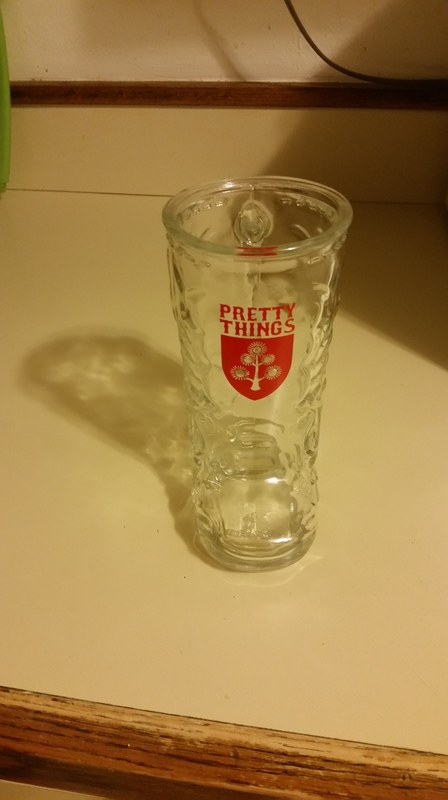 Pretty Things has been one of my favorite breweries for years and I have a bunch of thoughts on this, so bear with me if this post starts to ramble a little. To be honest this is probably the first of many posts on this subject, but I needed to get down my initial thoughts and then we’ll go from there as the news really sinks in. The first question I asked when I heard the news was “why are they shutting down”? It seems like new breweries are opening every month but you hear very little news about brewery closures. The blog post announcing the closure can be found here, but it doesn’t give much info about why the brewery is closing. The best reporting on the subject can be found on the twitter feed of Beer Advocate columnist Andy Crouch (@BeerScribe or through this link). I am not a reporter so I won’t be chasing down the story and doing interviews, but I will link to any good articles I find on the subject going forward. Andy reports that the main reason was profit margins, Pretty Things wasn’t making money on keg sales and the sales of 22 oz. bottles have plummeted in favor of 4 or 6 packs of smaller bottles and cans (regardless of the brewery). Pretty Things beer was only sold on draft and in bombers, and they never had a tap room to sell directly to consumers, which cuts out the middle man and helps overall margins. There was also speculation that the pay-to-play controversy had a negative effect on the brand (in you aren’t familiar with these events more details can be found HERE). The decline of the bomber makes a lot of sense, I think the shelves packed with larger bottles can be intimidating to less experienced drinkers, and the price point per ounce tends to be higher in 22 oz. bottles. Pretty Things also brewed the beer they wanted to brew, you never saw a triple dry hopped DIPA or a 20% ABV jalapeno and marshmallow stout aged in cognac barrels. They also never tried to create whalez/unicorn beers by generating hype online and then intentionally brewing small batches that would make the beer hard to find. They were best known for extracting maximum malt flavors in high gravity double-decoction brews, special beers that unfortunately appeal to a smaller subset of drinkers in these hop-obsessed times. I have dedicated this blog to finding all of the great beers in New England, but especially the great beers that are readily available, and it is no coincidence that Pretty Things appears 5 times in My Favorite Beers (so far). Beers like Jack D’Or, Meadowlark and Baby Tree were always go-to beers for me, and will be missed. I am sure more information will be released over the next few weeks that will help explain this shocking announcement, and I am planning a series of Pretty Things posts over the next month so I will have plenty of opportunities to provide more insight and information. If you’d asked me this morning which local brewery I would miss the most if it went away Pretty Things would be at or near the top of my list. Their beer played a huge role in my development as a beer lover and in the start of this blog. I was introduced to Pretty Things beers by the old 99 Bottles blog on Boston.com, and it immediately became one of my favorite breweries. I have previously credited Jack D’Or as the saison that fueled my love of the style and many other Pretty Things selections have expanded my appreciation of beer. I am planning on grabbing every Pretty Things beer I can find (coincidentally I already have a bottle of Babayaga in the fridge), expect a review each week until I run out along with more thoughts as I come to grips with the end of the brewery. Dann and Martha are apparently traveling over the next year and are open to some collaboration beers, which is great news and maybe enough to regenerate some interest in the brand and maybe even fuel a comeback at some point. Interesting stuff. So many new breweries every where. At some point, the balloon has gotta burst. You feel like you need to rush around to them all when they’re still in business. Golden Age.